Paving your outdoor area is a great way to add some style and appeal to either around your house or in your garden. Whether this is for a patio or for your verandah. Today we are going to take a look at some paving options. Paving around the house gives you many options for choice. You have a number of colours and styles available to choose from. When it comes to the type of pavers, meaning what they are made from you have either a clay or a concrete paver. This in itself isn’t something you should be too concerned about, but handy to know. Both pavers are very good and will hold up well. 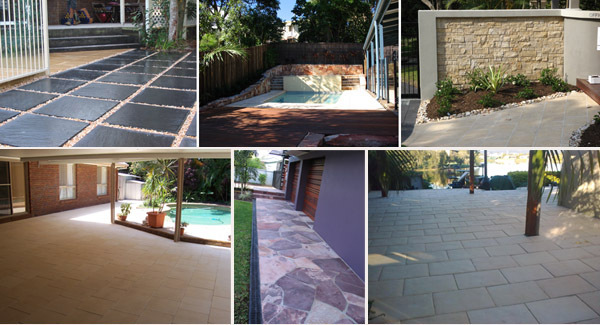 So In this article we are going to take a look at your options for paving an outdoor area. And give you an idea as to what is possible for your Newcastle home. What’s there to think about when it comes to paving in Newcastle. To be fair. There’s a couple of choices you’ll need to make. The first being the colour, type and size of paver you want for the area you’ll be paving. Obviously you’ll want a paver that appeals to you and the look your going for. Do you want a larger paver or smaller ones. Larger ones will most likely be a little more cost effective as you won’t have the labour expenses you would with putting down smaller ones. But again that comes down to the area your wanting to pave and they style and look. Sometimes you have too many options. Considering we’re talking about patios and verandahs, you already know. But there’s another factor you’ll need to consider when choosing what type of paver to use. And that’s what sort of traffic will be going over the area in question. Pavers come in different thicknesses so depending on where the pavers are for you might look at a certain thickness. For example paving a driveway compared to a patio area. Two very different areas and you’d want to make sure the driveway pavers are thicker and stronger as there will be a lot of consistent heavy traffic using them everyday, as opposed to a patio or verandah, the traffic most likely will be just foot traffic. Outdoor living is a great past time here in Newcastle, especially in the summer months. There’s nothing like being outside enjoying time with family and friends. And having a paved outdoor area, whether that’s under the verandah or on a patio area. Having a nice area to hang out in gives your garden a fresh, clean look and style. 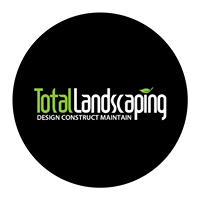 So when it comes to Newcastle landscapers we are your paving team. We have years of experience paving in Newcastle and the surrounding areas. We have done many successful verandahs and patio areas, as well as driveways and other paved area throughout the garden. We would be more than happy to have a chat about your next project.